Are you loves to travel? Do you love coffee? Would you love to get it both? Using Travel Mug, you can drink your favorite coffee during on board. Travel mugs was introduced first in 1980s. The purposes of travel mug to transport cold or hot beverage from location A to location B. Using travel mug is more secure comparing to normal mugs because it’s having an opening on top of the cover through. This will help people to keep on consume the beverage inside mugs during transportation without worrying about spillage. Usually for this type of mugs, they will be a stainless steel as the inner wall while stainless steel, plastic or even embed with other materials can be used on the outer wall. 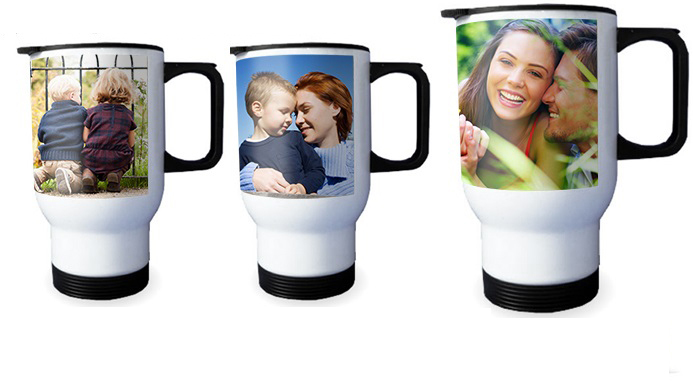 For their lightest and unbreakable characteristics, the polymer mugs are more suitable for outdoors and now it becomes a new popular choice of touring, cars, corporate gifts, and brand promotion. Another special characteristics about this mug is the handle of a mug. It’s keeps the holder hand safe from the hot beverage inside the mug. 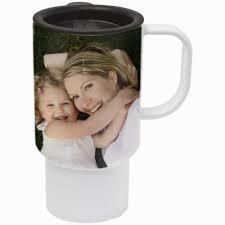 Are you interested to get Travel Mug as a gifts to your business partner, colleagues or to your customer? At MyBulkPrint.com, we’ll provide special price for bulk purchase. CONTACT US NOW FOR FULL QUOTATIONS!